"[t]he Institute for Intellectual Property of Bosnia and Herzegovina has recently adopted the Methodology of supervision of organizations for collective management of copyright and related rights. The Methodology precisely defines how to apply the provisions of Bosnia’s Law on the Collective Management of Copyrights and Related Rights that relate to the Institute’s supervision of copyright collectives. The Methodology was adopted and entered into force on October 21, 2014". 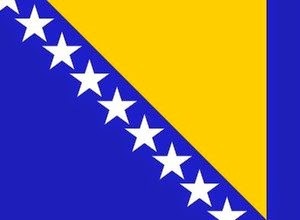 Since Bosnia doesn't often get a mention on the 1709 Blog, and since anything to do with collective copyright administration is apt to attract interest from creators and users of copyright works as well as the competition authorities, this blogger decided to feature this document, which you can read here. A couple of caveats: (i) it's 107 pages long and (ii) it's in Bosnian.